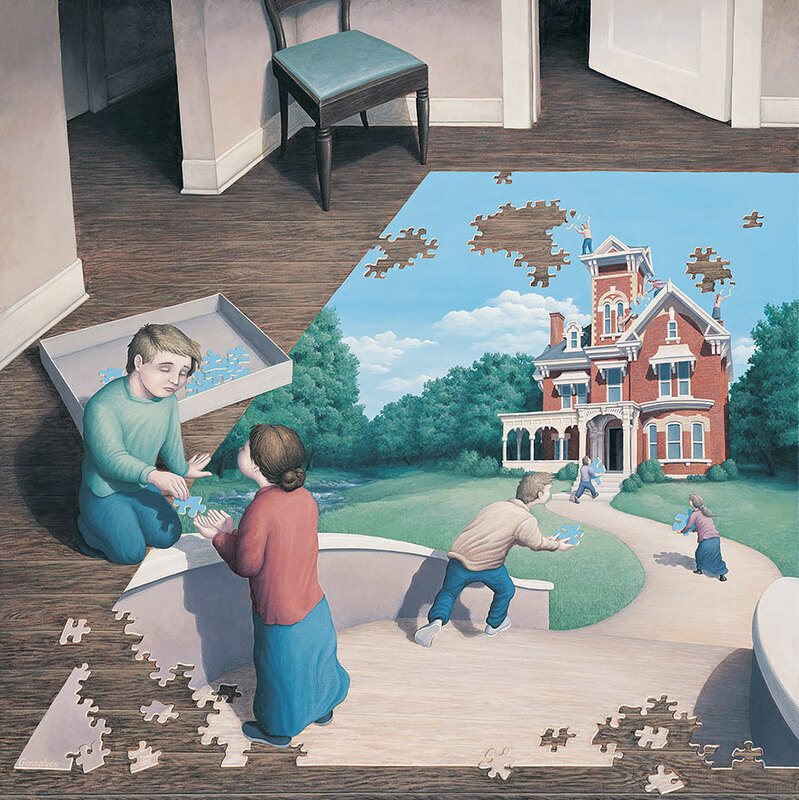 Blue piece(s) and Green piece(s) are two puzzles composed only by blue and green pieces respectively. 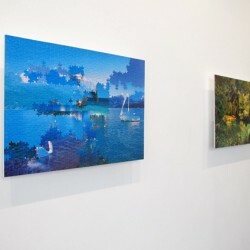 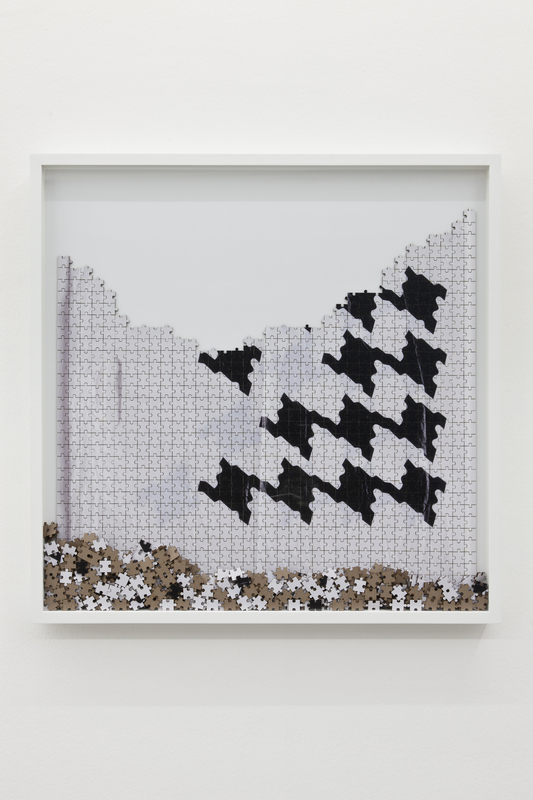 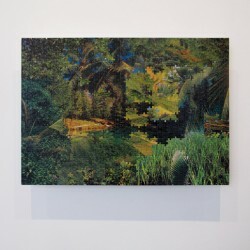 Each one had been put together assembling pieces subtracted from 8 different natural landscapes puzzles. 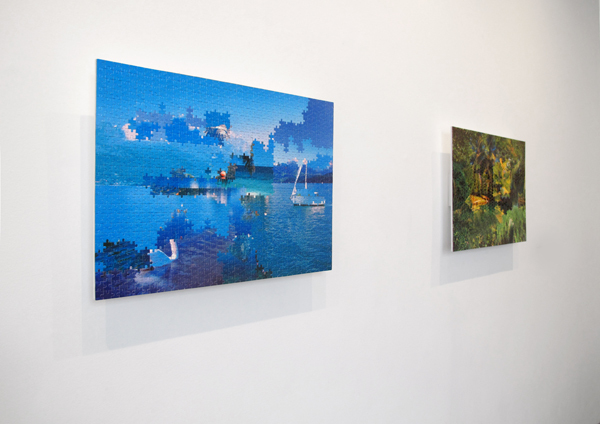 These puzzles were industrially produced using the same die-cut so their parts are interchangeable. 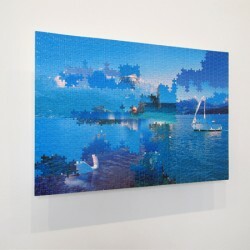 Separator image Publié dans Peinture, Photographieet est étiqueté avec mix, Monochrome, Paysage.